"... the best resource for curriculum and pedagogy, publishing and tenure, advanced training and health issues..."
The hotel group rate is available through Thursday, June 6, 2019. Registration fees include a $25 non-refundable processing fee. 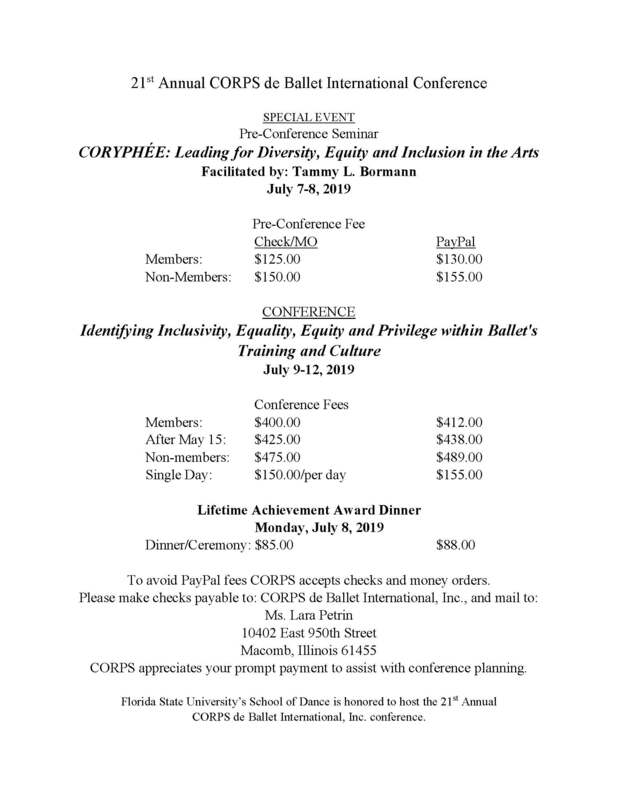 The CORPS de Ballet International is a professional organization dedicated to the development, exploration, and advancement of ballet in higher education. Professional Membership is open to all dance professionals who have worked in higher education as tenured, tenure track, full time, adjunct or part-time ballet faculty both past and present. We also have Associate, Graduate Student, and Retired membership levels. These can also be purchased as gift memberships! Join today! Click logo below to DONATE! Copyright © 2014 CORPS de Ballet International, All rights reserved.